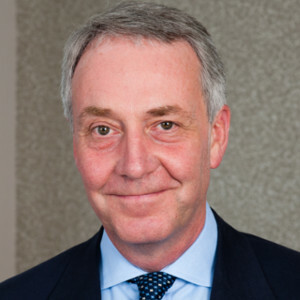 After spells in Washington DC and Brussels, David Anderson has practised from Brick Court Chambers since 1988 in the fields of EU law, public law and human rights. He has appeared in many leading cases in the EU Court of Justice and European Court of Human Rights, as well as the full range of English courts and tribunals. He is a Visiting Professor at King’s College London, General Editor of the Oxford EU Law Series and has lectured on EU law and human rights in more than 20 countries. For six years until March 2017, David served as Independent Reviewer of Terrorism Legislation. In that capacity he had access to top secret information, but also travelled and consulted widely with those affected by counter-terrorism laws. His 20 published reports were frequently cited in the courts and in Parliament: two of them, A Question of Trust (2015) and Bulk Powers Review (2016) have been described as blueprints for the Investigatory Powers Act 2016. More recently he oversaw internal reviews by MI5 and CT Policing into their handling of intelligence prior to last year’s completed terrorist attacks, reporting in December 2017. He writes, speaks and advises extensively on national security law, surveillance and counter-extremism. David has monitored media freedom for the Secretary General of the Council of Europe in Russia, Ukraine, Georgia and Turkey, and sat for eight years as a part-time criminal recorder. In 2015 he was chosen by Halsbury’s Laws as Legal Personality of the Year. He combines his practice with part-time membership of the Courts of Appeal of Jersey and Guernsey, where he also serves as Investigatory Powers Commissioner.